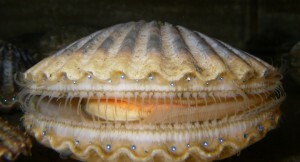 The creeping foot, the unsegmented body and shell secreting mantle are brought to life in the mollusk. 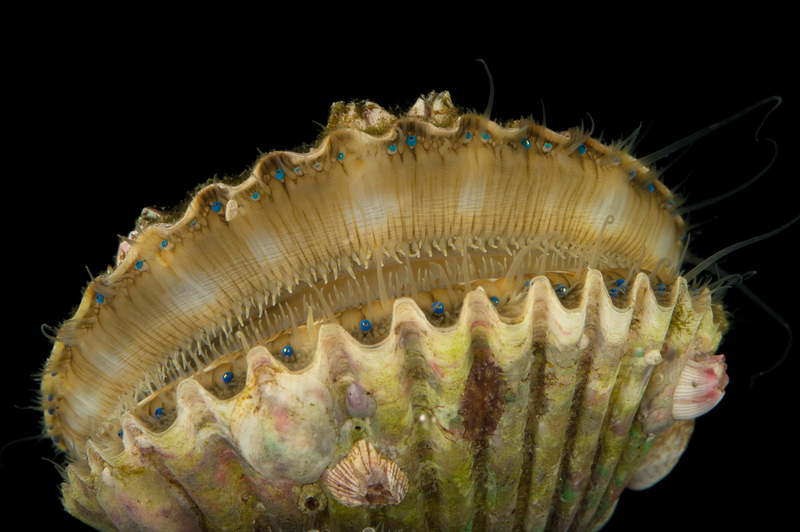 Spirals of the shell, created by mantle secretions fascinate the eye. 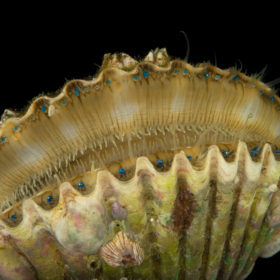 Bivalves, clams, oysters and mussels sit peacefully on the bottom filtering single celled algae from the water, while ravaging whelks seek them out with predatory intent. 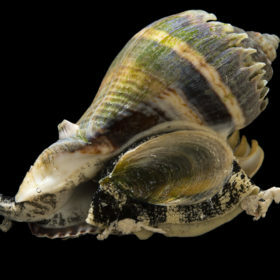 With a drilling radula that would put a dentist’s drill to shame, boring snails rasp through the shells of other gastropods. Meanwhile, segmented chitons cling peacefully to rocks and shells, while ancient scaphopods dig their way down into the sand. With splendor of color and diversity of form, nudibranchs, snails without shells, glide by partaking of anemones and hydroids. 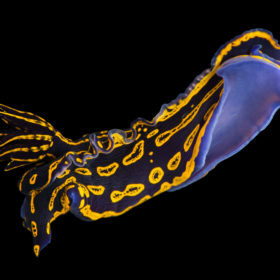 Undulating gracefully, soft bodied sea hares that exude ink only when disturbed scrape green and red filamentous algae from the aquarium glass. 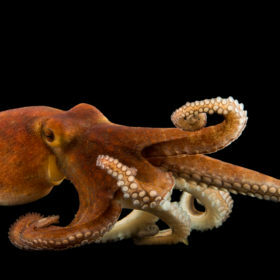 AS-22 MOLLUSK ASSORTMENTS: Included are chitons, clams, mussels, whelks, snails, and nudibranchs. When abundant, scaphopods and/or frilled sea hares may be included.